Apt Roofing has a longstanding commitment in servicing Strata and Real Estate managed properties. 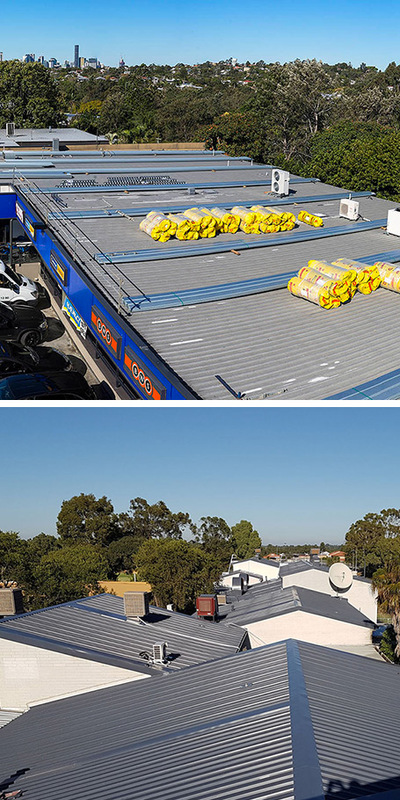 For many years, Apt Roofing has continued service to the major Strata and Real Estate companies in Sydney and the Eastern Suburbs, clearly understanding the roofing needs, requirements and constraints of both owner, tenants and property managers. We provide consistent quality service and workmanship to our Strata, Real Estate and Insurance repair work Sydney wide. Apt Roofing provides services in the strata sector to: Body Corporate Services, Strata Title Management, Strata Partners, Stratamark, Strata Real Estate Services to name just a few. Apt Roofing also provides services to smaller independent real estates agencies with their own property management divisions. We understand your roofing requirements and constraints and endeavour to make contact with on-site owners & tenants within 24hrs of receiving Purchase Orders for works to be complete. We provide detailed reports, recommendations, and quotes for every job inquiry, and ensure that all rubbish is removed and the site cleaned before invoices are issued. We are proficient in repairing and replacing all types of roofs – Metal, Tile and Slate. Large or small repairs are carried out with minimal disruption to owners and tenants. We endeavour to keep owners, tenants and property managers up to date with the progress and completion of the job with open and honest communication. Blocked and inefficient working gutters and drains can potentially cause damage to your roof. Apt Roofing can clean out your gutters enabling the water course of your roof to work freely and efficiently. For a small investment, Apt Roofing can provide you with a routine periodic clean during peak seasons to maintain the life of your roof and gutters and the longevity of your home. Ask your property mananger to get a quote today! For areas with dense tree foliage and of high fire risk, the long term solution is to install a leaf guard. Reducing the debris filtering into your gutters, will assist in prolonging the life of your roof, gutters and downpipes. Leaf guard may also assist in preventing wildlife entering your roof. Installing effective insulation is a great way to save on your energy costs. Effective insulation provides your home with a barrier to the harsh elements of the environment, keeping your energy costs down. During winter months, the warmth generated through heating remains in the home, while in summer, the insulation deflects the heat from the sun and keeps cool air from air conditioners in, leaving the home cool. Roof ventilation is another cost effective way to maintain comfortable living and lower energy costs. Roof spaces can reach extreme temperatures, which can radiate down into the home, causing discomfort and forcing air conditioners to work even harder. Whirly birds are designed to remove hot air and moisture from the roof cavities, and replace this with cooler fresh air, leaving the home feeling more comfortable.